Tosibox say you can set up their remote access solution in just 5 minutes without specialist IT skills. It creates a direct link between your PC and remote equipment such as PLCs and HMIs so you don't need to worry about security. Most people would agree that remotely connecting to your on-site equipment can be a huge bonus, potentially saving hours stuck on busy motorways. 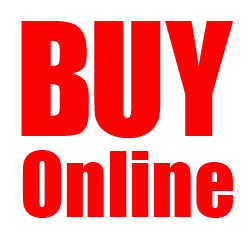 However, many people are put off by security concerns and whether it will be easy to setup. Tosibox is a patented, user-friendly remote access solution that lets you forget about data security and connections. You will save time and money, and be able to concentrate on what’s important – your business. Tosibox patented Plug & Go™ technology is the world’s first, patented hardware based remote access solution. 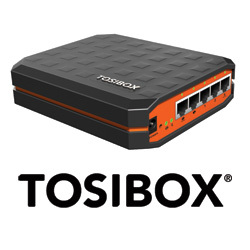 Tosibox creates a fully secure remote connection between devices. The infrastructure is set up within a few minutes, and does not require special IT skills. Also, management of devices and user groups is remarkably easy. The construction of remote access infrastructure has never been so easy. Tosibox is infinitely scalable. It enables real-time data collection, and provides a cost-effective and easily expandable solution in which the infrastructure expands at the same pace as your business. Tosibox works anywhere in the world with all types of devices regardless of the operator and type of internet connection. You can manage your devices anywhere and be sure that your connection is always reliable. Tosibox is globally audited, patented and performs at the highest security levels in the industry. It’s not a cloud service, but a direct VPN tunnel between the physical devices and only trusted devices can access the network. The data cannot be accessed with passwords alone, but a physical key is always required. All of the users and keys are managed from a single console, so you can be sure your network and data will remain encrypted and secure.